This series explores these unique qualities of glass in a casting process. 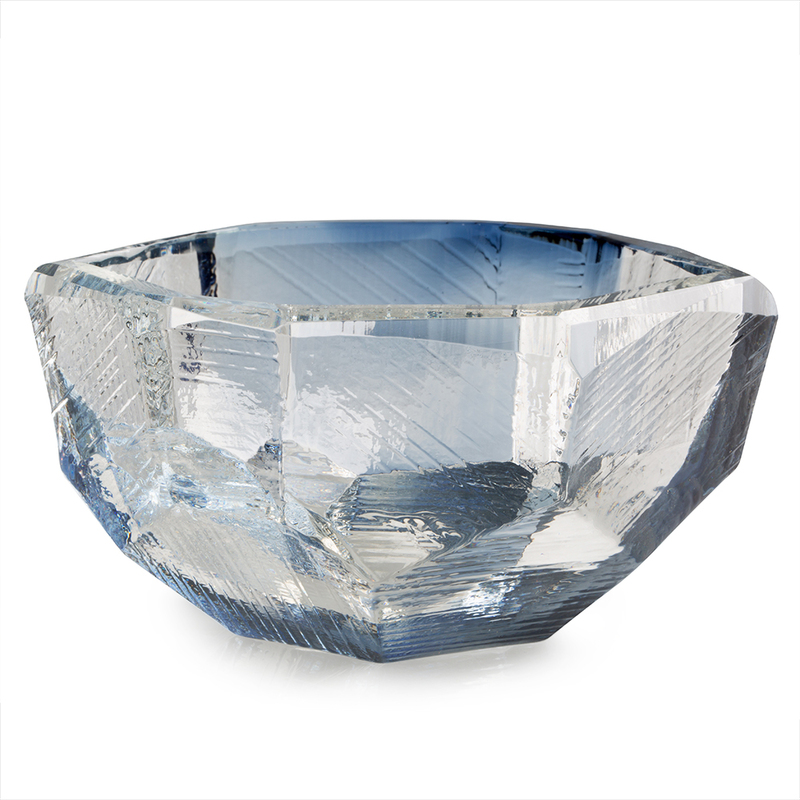 Inspired by quartz crystal’s random facets and surface texture, these cast bowls are designed with enough mass to refract light and play with its reflections inside the object while maintaining functionality. While displayed openly, in groups with a single light source, you get a beautiful spill of light refracted through the glass. But don’t be afraid to use these dishes—they’re as tough and utilitarian as they are beautiful.